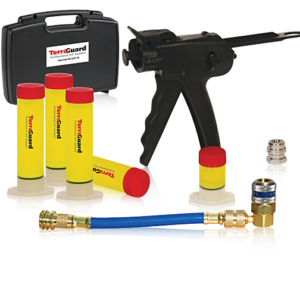 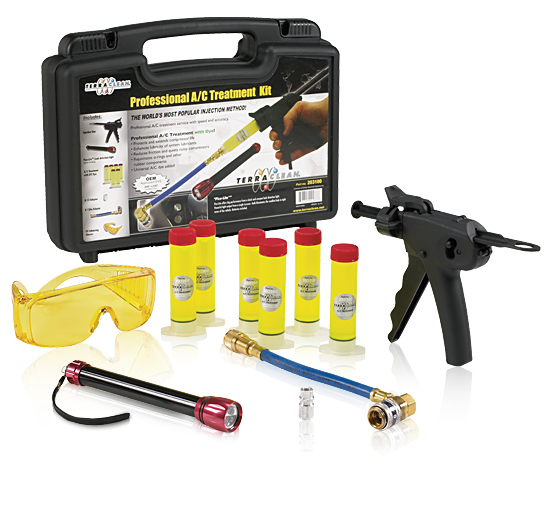 Kit includes injection gun, PICO-Lite ™ 1 watt Luxeon® LED, 6 TerraClean A/C treatment cartridges, R-12 and R-134a adapters and UV enhancing glasses. 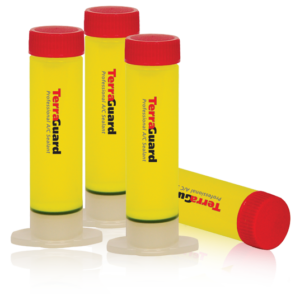 Each 1 oz Treatment cartridge contains a high performance lubricant which reduces friction, quiets noisy compressors and extends compressor life. 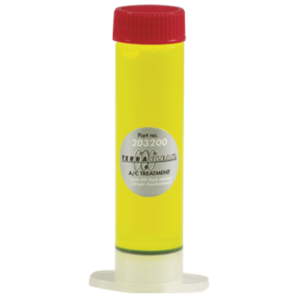 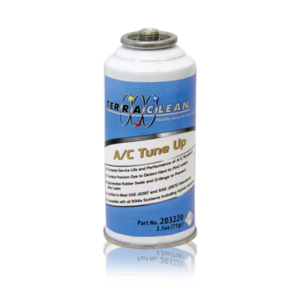 It also rejuvenates o-rings and gaskets and contains A/C dye for easy leak detection.